Heat pumps are a marvelous option to save money on heating and cooling! It just doesn’t get much better than having a single appliance that can pull double duty to keep your house cool in summer and warm in winter. But there are a few differences in how a heat pump works from your traditional HVAC (air conditioning and furnace) system. One key facet of making sure your heat pump works effectively, efficiently and safely all year is knowing how to transition this appliance from the warm season to the cool season. In this post, we share our top heat pump transition tips, outlining the routine seasonal maintenance you can safely do on your own and recommending tips for seasonal professional maintenance as well. 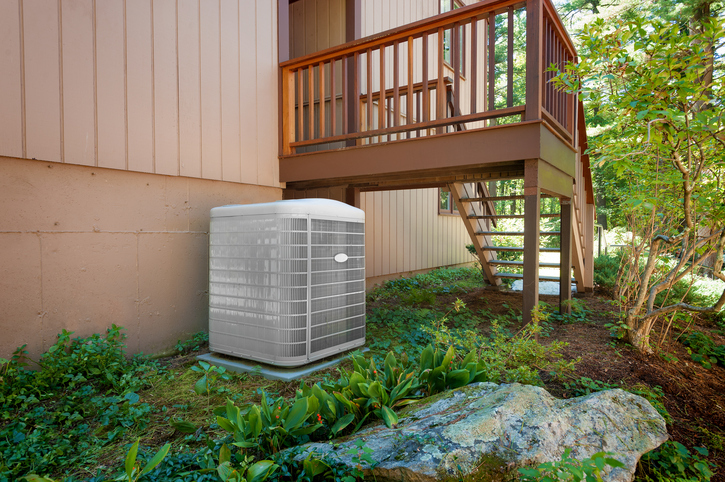 You may find these tips especially helpful if this is your first time transitioning a new heat pump system from summer use to winter operation. When you purchased your heat pump system, you probably found yourself looking forward to the promised lower energy bills made possible by increased cooling and heating efficiency. What makes optimal energy efficient operation possible, however, is routine maintenance. Only a well-running heat pump can deliver on its promises of improved energy efficiency and reduced cooling and heating bills. A well maintained heat pump will consume up to 25 percent less energy to do the very same job as a poorly maintained heat pump! To understand how that impacts your utility costs, just take a look at your current energy bill, divide it by four, and subtract the result from the total. This is your potential energy savings from investing in some simple routine maintenance—and these savings don’t even factor in the extended useful life of your heat pump itself! Since you use the same appliance to do two separate tasks, you will first need to tell your heat pump what you want it to do! Luckily, it is easy to switch from one mode to the other—just move the switch on your thermostat over from cooling mode to heating mode. If you have any trouble switching your heat pump from cooling to heating mode, or if your heat pump doesn’t automatically adjust itself to the new setting on your thermostat, it might be time to call in the pros. The thermostat itself is malfunctioning. The refrigerant level in your heat pump is low. The reversal valve on your heat pump (which tells the refrigerant where to go) is not working properly. These basic seasonal maintenance tips are easy to do when you have a few free hours to putter around the house. They may also sound familiar since you’ve likely been doing similar tasks to maintain a traditional HVAC system in years past. For safety reasons, be sure to first switch off the power to your heat pump before getting started on these self-maintenance tasks! Clear away all clutter, debris and stored items out to a 3-foot radius to create a fire safety barrier that completely surrounds your heat pump components. Replace the air filter in your heat pump. Clean the exterior of the heat pump unit and do a basic inspection, noting any visible wear and tear, abrasion or damage. Examine the power cord and wiring, looking for abrasion, wear and tear, discoloration, heat damage and other warning signs. Clean out the coils (you may find a small hand-held vacuum or vacuum attachment helpful here). Clean and prime the trap. Flush out the drain line and clean it. Double-check your thermostat settings and re-program for cooler weather as needed. Unless you have a background in professional HVAC inspection, repair and maintenance, it is always smart to recruit a professional to do your seasonal heat pump safety inspection and internal maintenance. While it may feel challenging to add one more thing to your to-do list during the busy fall season, seasonal heat pump maintenance can quickly pay for itself and then some when small repairs are made that can eliminate the danger of bigger repairs or costly surprise outages later in the winter season. A professional HVAC technician will know how to safely perform the following routine maintenance tasks while checking your heat pump for safe and energy efficient operation. Inspect and repair any loose wiring or electrical connections. Inspect and clean out the evaporator coils. Check the refrigerant levels and add more refrigerant as needed. Inspect, clean and lubricate the blower motor. Inspect, clean and balance the blower wheels. Conduct a thermostat test for temperature accuracy. These tips can help you trim your winter energy bills! Set your thermostat fan to “auto” mode. Use your programmable thermostat function to avoid heating an empty home. Set your thermostat to avoid triggering your backup heat source, which you can do manually on the few days annually that may require additional heating. Is this your first winter using a heat pump system? Do you have questions about how to make sure your heat pump is maximizing your energy savings? Have you recently inherited a heat pump as part of a home purchase and need a tutorial? Give us a call! Here at Shipton’s Heating and Cooling, we are licensed and trained to install, repair and maintain all makes and models of HVAC equipment. Contact us online or give us a call at 905-549-4616 to schedule your maintenance service appointment!